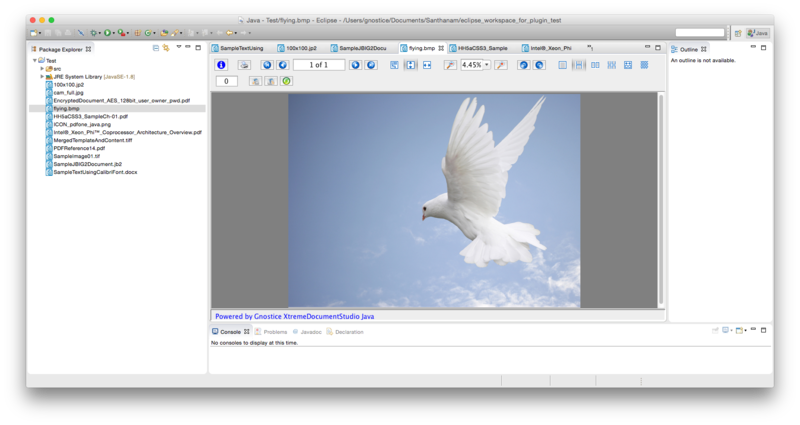 View PDF, DOCX and image (JPG, PNG, BMP, GIF, TIFF, JBIG2, and JPEG2000) files included in your projects without leaving the Eclipse IDE. 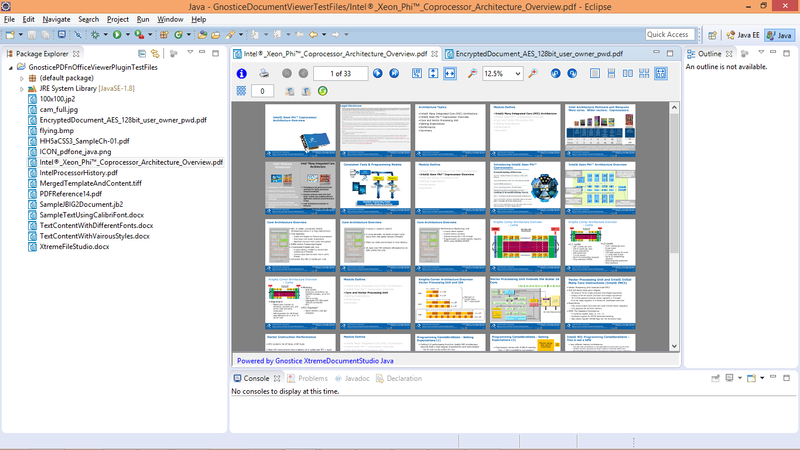 This provides controls for page navigation, zoom, document rotation, and viewing your documents using various page layouts such as Single-Page Continuous, Side-By-Side Continuous, Single-Page Non-Continuous, Side-By-Side Non-Continuous, Auto Fit Columns, and user-defined number of columns. 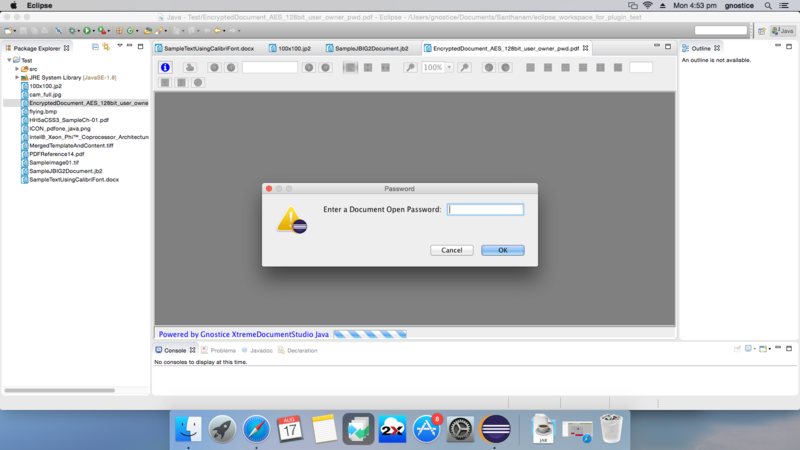 It also supports viewing of PDF documents that are encrypted with an open password. 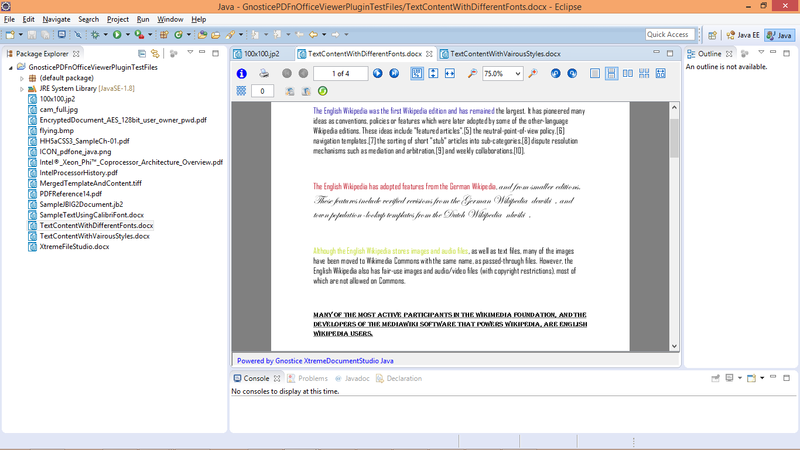 This is powered by Gnostice XtremeDocumentStudio for Java. By adding the following code below to your website you will be able to add an install button for Gnostice Free PDFnOffice Viewer Eclipse Plugin.